We believe that protecting wildlife goes hand in hand with supporting local people. With this in mind we have launched a brand new and unique sponsorship package that allows you to do just that. 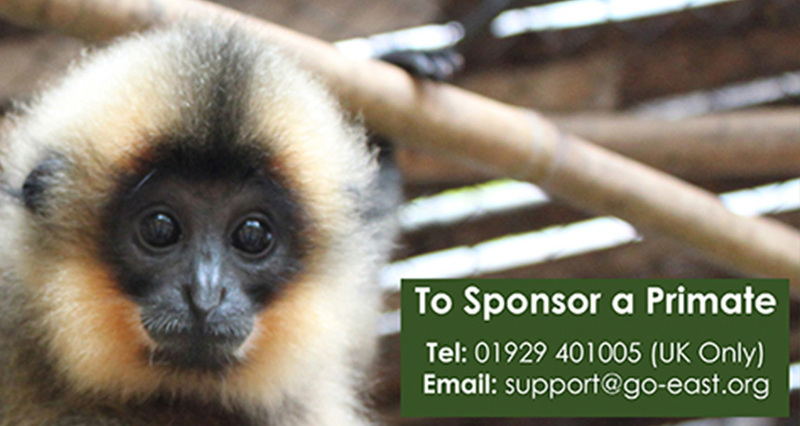 At Dao Tien, our work with endangered primates is only possible through the generous and amazing support from you. 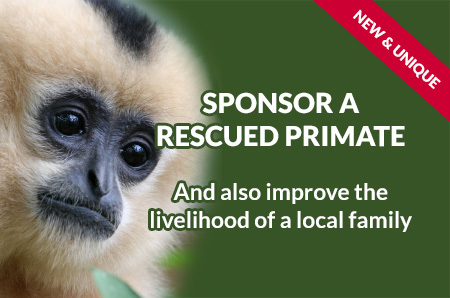 By sponsoring a primate you will help support their care throughout their rehabilitation. 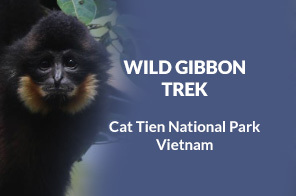 In addition some of your money will go directly to help support a local family, and they will also be given a family pass to visit Dao Tien to find out more about their amazing wildlife and the efforts taking place to help them. In doing this, we hope that even small steps to help boost local livelihoods may reduce opportunistic illegal hunting in the forest. It also increases local awareness of their native primates and helping their livelihoods. * Photo of your chosen primate, and more information about him or her. * EAST recycled tyre notebook or Dao Tien Fridge Magnet. (Vietnam is one of the UK’s dumping grounds for old car tyres – by encouraging greater recycling of tyres we can reduce this). * £10 will be spent on something for a local Vietnamese local family that will help increase their livelihood: E.g. ducks/fish to farm, cinnamon or peppercorn trees for harvesting, materials for silk worm production. * Gift a visit – a free pass for a tour of Dao Tien for the Vietnamese family that has received the livelihood boost. (As most people cannot visit our centre in Vietnam, we want to use your support to give the opportunity to the local community). * Recycled EAST tyre notebooks available to buy at a reduced rate of £2.50 each. Sponsorship Packages last for one year. 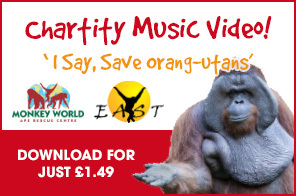 Please note: All our primates are confiscated from the illegal trade in Vietnam. Some will be suitable for release quickly, while others will take longer depending on age, health and social skills. 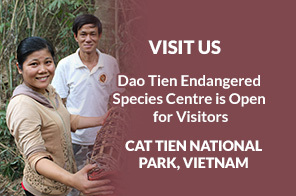 Sadly some of the animals at Dao Tien will not be fit for release and will therefore be well cared for in captivity.